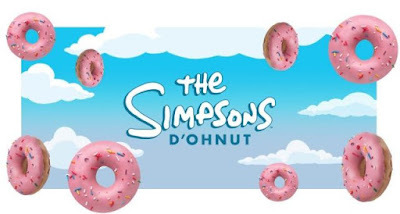 Mirroring the pink donuts that show up in many-a-Simpsons episode, the The Simpsons D'ohnut is an Original Glazed yeast ring donut dipped in strawberry-flavored white chocolate truffle and lightly dusted with rainbow sprinkles. It can be found both at Krispy Kreme stores in Australia as well as at 7-Eleven through April 30, 2018. While it's not being offered here in the US, if you ever making it to either Universal Studios theme park, there's always Lard Lad for your Simpsons donut fix (or you could also just find a pink-icing donut with sprinkles at a number of donut shops). 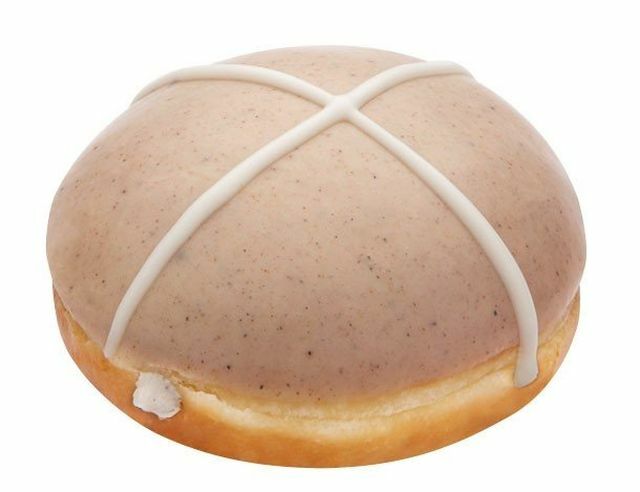 The Australian branch of the chain is also doing a hot cross bun donut for this year's Easter season. The Cinnamon Hot Cross Bun Donut is a yeast shell donut dipped in cinnamon-flavored white chocolate truffle and filled with a light cinnamon creme.